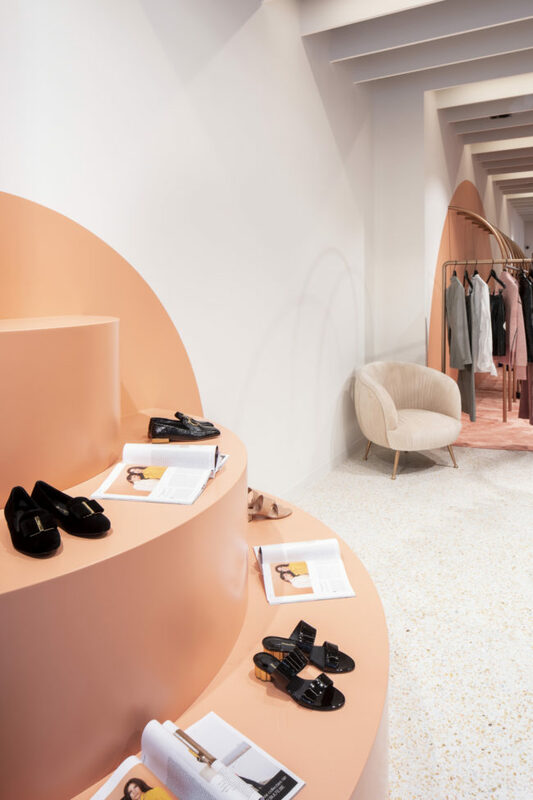 In the very heart of Antwerp a building is renovated and transformed into a fashion shop where experience and expression are paramount. 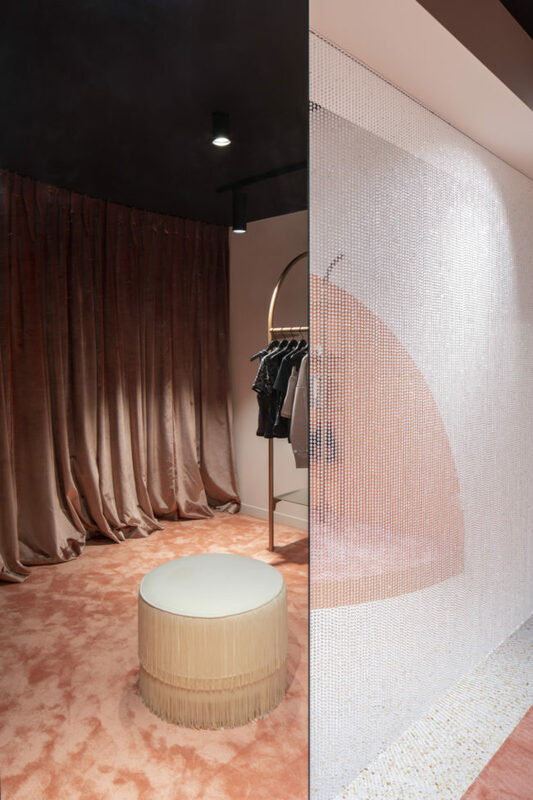 We created a universe of dominant soft pink shades and stylish yet playful details. 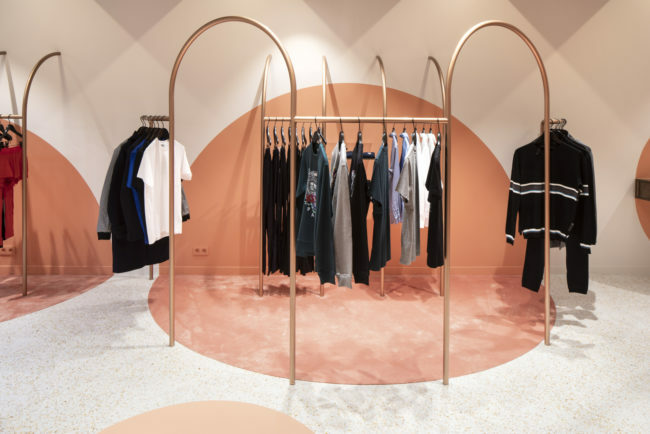 The customer is guided unknowingly through the shop by organic forms (a carpet in half circles on the floor, wall paintings of circles and circular positioned cloth rails). 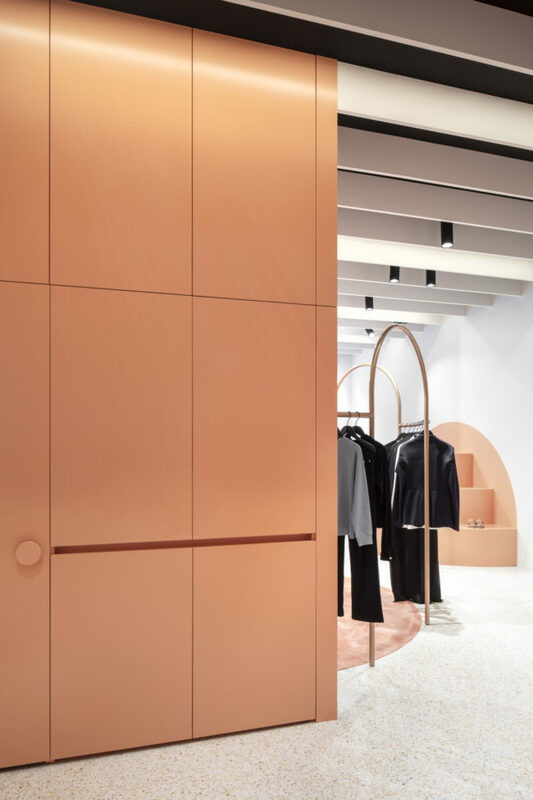 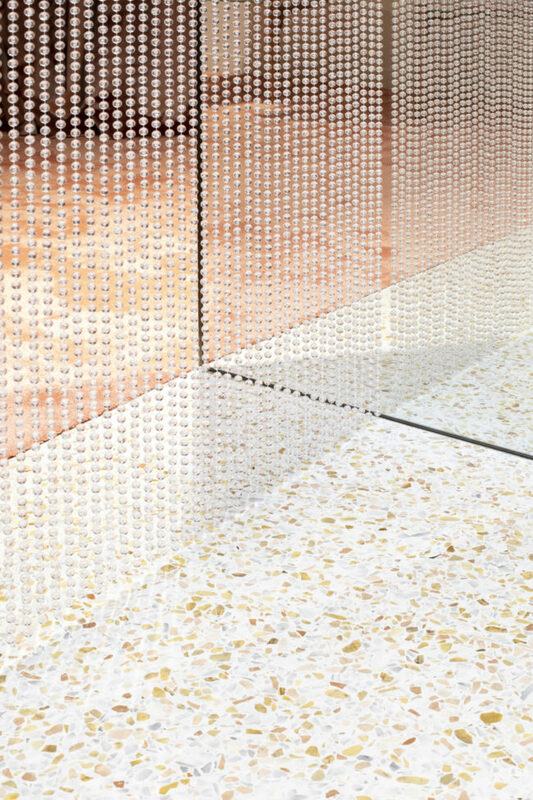 A mix of warm and hard materials such as wood, metal and a terrazzo floor create a feeling of gracious luxury.